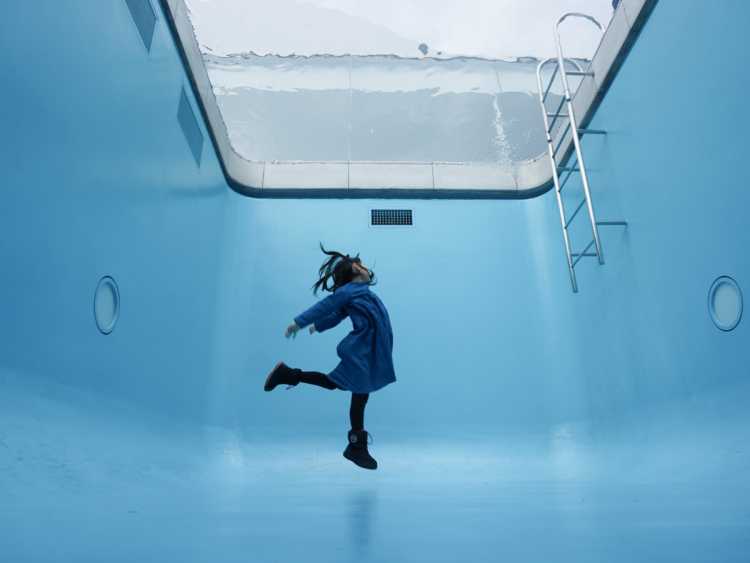 Leandro Erich's 'The Swimming Pool' is very attractive to take pictures! 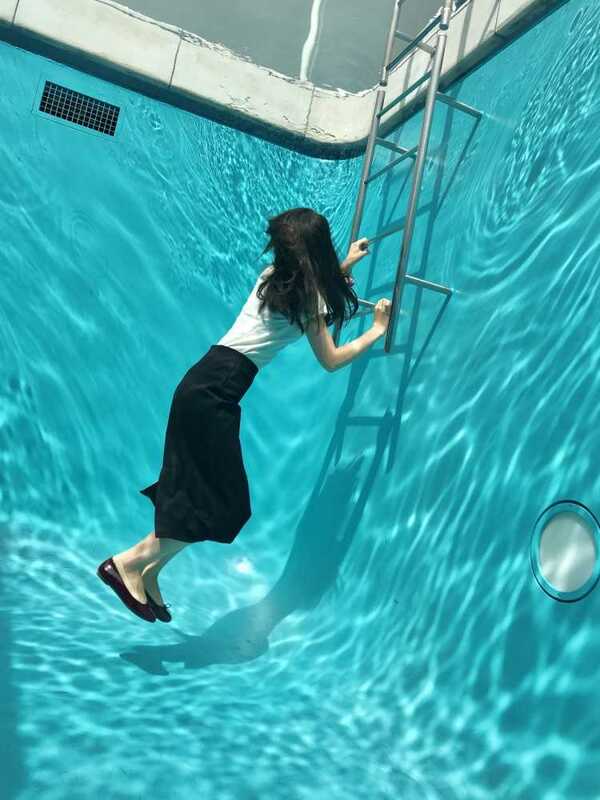 It's can be seen both from the ground and inside the pool, and you can see from the ground for free.◎Though it looks to be filled up by water, it's just a pool which is 10 centimeters in depth on the clear glass. Under the glass, there's a light blue room and you can enter it (need entrance fee). 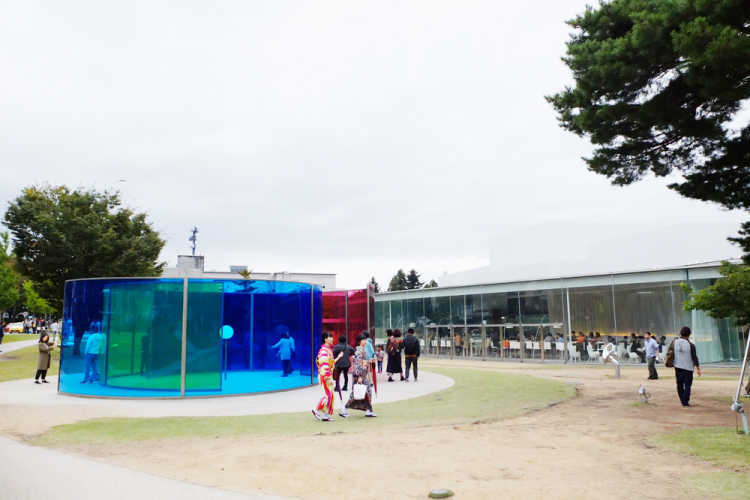 'Swimming Pool' is one of the most famous works of 21st Century Museum Of Contemporary Art Kanazawa. On sunny days, the ripples reflect beautifully like this picture. When you take pictures, use continuous-shooting to make you look floating in the water. The sunlight makes shadows of ripple on sunny days though, it was raining when I visited here. 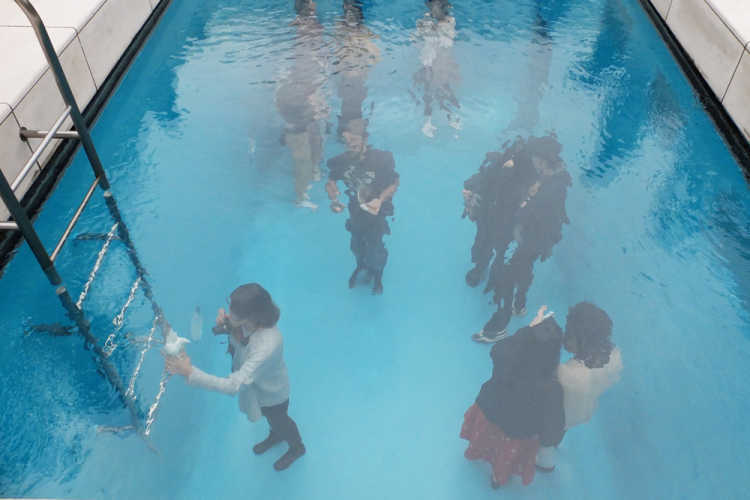 During the most crowded time, people wait in a line to take pictures of the art Swimming Pool. 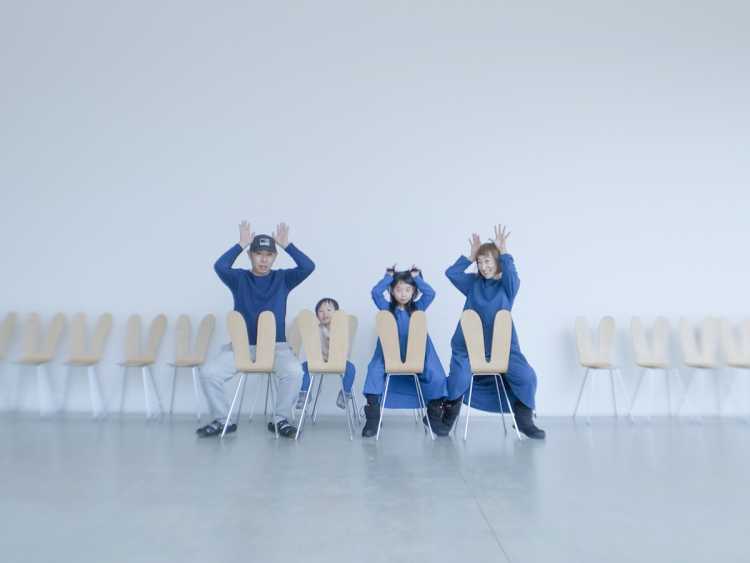 Rabbit Chair is a second famous (I think) thing next to Swimming Pool at 21st Century Museum in Kanazawa. The appearance of so many chairs line together is soooo lovely! And it's located at an area we can see for free before the entry to the museum.